Going to give this blog a second, third, or whatever number attempt this is! I am so pumped, finally got a Mac book today. 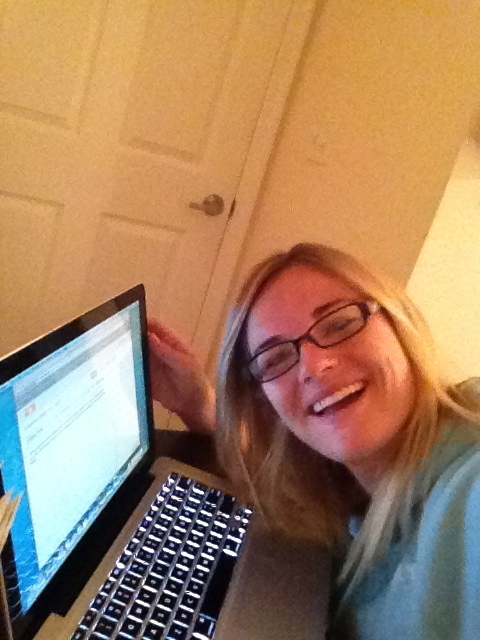 Makes it a lot easier to blog when you have ummm a COMPUTER! It is amazing how you much I can act like a child on Christmas with electronics…I drove 30 minutes to the UPS site today to pick up MY MAC. Pathetic, I know…but so totally worth it! You would do it too! 3. I will share a lot of jokes, funny stories…they may not be funny to you…I apologize for that. Today was our (runner roomie and I) 4 mile run day…we do a long run Saturday…up to 16 miles. Amazing how my body has adapted to the mileage….we shall see how this one goes! Dinner tonight was my fav Oven Roasted Cauliflower recipe from Pinterest! So easy and so delicious…recipe is posted at the bottom. Followed with a salad with raisins, cucumbers, red peppers and my new fav salad dressing Boathouse Olive Oil and Vinaigrette…yum! Tonight I will be dreaming about this….. 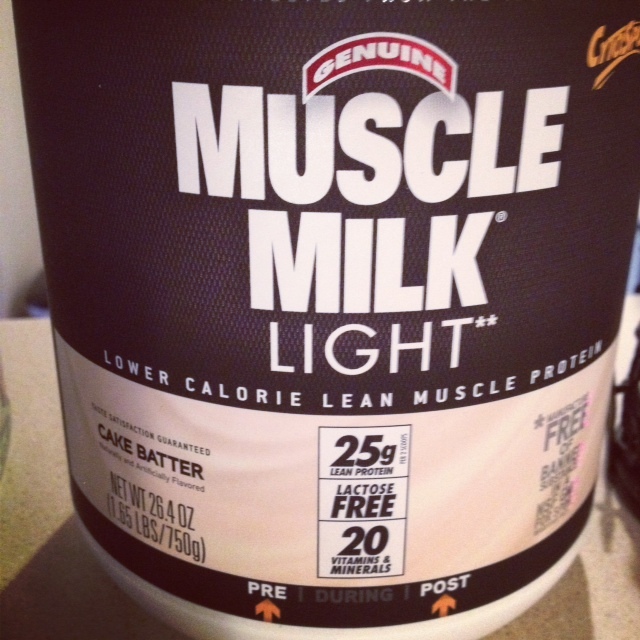 Yes folks that is Cake Batter Protein powder!! get it get it! !